Since 1975, more than 3 million refugees have resettled in the US, and many refugee populations arrive in urgent need of medical care. The US plans to admit 85,000 new refugees in 2016 and 100,000 more in 2017 – up from 70,000 in 2015. 10,000 will arrive from Syria, potentially increasing the need for Arabic interpretation. Most refugees arrive from non-English-speaking countries, so professional interpreters bridge the gap between these patients and their medical providers. Communication is key – doctor/patient miscommunication may contribute to misdiagnoses, unnecessary readmissions, and less-optimal healthcare outcomes. Those who speak no English obviously require interpreters; however, some patients speak enough to communicate casually but lack the fluency to understand medical conversations. It’s important to recognize the need for interpreters in these cases. Overestimating fluency goes both ways. Be wary of allowing bilingual staff to act as interpreters without testing their capabilities. Medical conversations are complex, and a professionally trained interpreter could mean the difference between success and failure. Interpreters do more than convey language, they act as cultural brokers who understand customs and nuances. 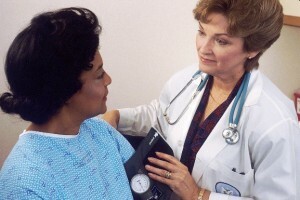 A person’s native culture may significantly impact their relationship with healthcare providers. For example, Indian culture holds educated medical professionals in such high esteem that asking the doctor questions might be seen as disrespectful. Those from traditionally Islamic countries may feel uncomfortable being examined by a provider whose gender differs from their own. Professional interpreters can help the medical team navigate these barriers and reassure the patient, easing cultural tensions. The US Department of Health and Human Services (HHS) lists recent refugees and immigrants among groups most likely to have limited health literacy – “the degree to which individuals have the capacity to obtain, process, and understand basic health information and services.” Also at risk are “racial and ethnic groups other than White, people with less than a high school degree, people with incomes at or below the poverty level, and non-native speakers of English” – categories where refugee populations over-represent. Providers caring for these populations should simplify their explanations, taking into account the patient’s level of understanding and education. A professional interpreter can help by tapping into their linguistic and cultural knowledge to craft patient-friendly explanations. The interpreter may more accurately gauge whether the patient understands what their provider says, improving healthcare outcomes for refugee populations.